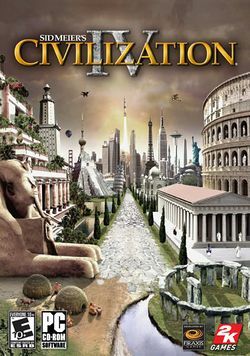 Sid Meier's Civilization IV (typically shortened to Civilization IV) is a turn-based strategy game for Windows and Mac OS developed by Firaxis Games. Players are challenged to develop a civilization from its beginnings in 4000BC up to the modern era and beyond. This page was last edited on 4 August 2016, at 21:45. This page has been accessed 114,741 times.